I am at a loss as to why I can't just take a 50 gallon drum, fill it six inches or so, let the worms get to work, then keep adding to it over time, or even just filling up the drum right from the start and let them work over time. I'm not sure who, what, or where you read that you cannot raise worms or worm compost in a 50 gallon drum. You can raise worms in just about anything as long as their needs are met. I've never seen it done before but I bet you could even raise them in a European shoulder bag (man purse). A 50 gallon drum is nothing but a container with 4 sides (so to speak) a floor and a roof. Many people keep them in plastic trash cans outside in the winter. The trick though is adding proper insulation and the right foods that will heat up the bin during those cold winter months. 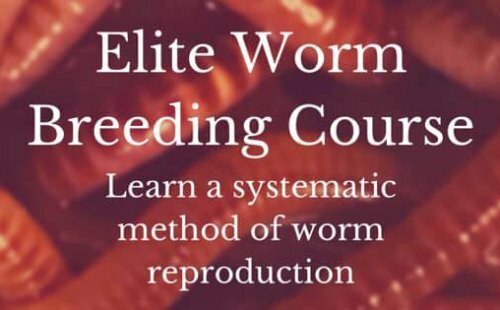 Although your worm activity will slow down exponentially. So knock yourself out Matt and best of luck to you. Thanks for the great question. I've been worm farming 20 years or so, and have found that "wide and shallow" is better than "tall and deep" for worm farms.This is one reason old bathtubs are so popular. In a tall system - e.g. 40 gal drum, the lower part gets very compacted, there's no air circulation, it stays wet and gets smelly. This is the environment for anaerobic bacteria, and they are the ones which produce the nasty smells. A shallow bin is more likely to have air moving thru the bedding, and thus attracts the aerobic bacteria, which give casting their nice earthy smell.